The Azores are an archipelago of islands which lie in the Atlantic and sit 850 miles west of Portugal and some 2500 miles away from the East coast of America. There are nine islands in total, with two islands in the East. Five islands (Terceira, Sao Jorge, Pico, Faial, and Graciosa) form the central group, and on the western side you have Flores and the tiny island of Corva. The name Azores is derived from the Atlantic anticyclone area (Azores High), which lies south of the islands. Large amounts of high pressure build here regularly, and this can have a drastic influence on continental Europe and North America climates by causing summer heatwaves. Commonly known as one of Europes best-hidden secrets, what makes the Azores incredibly unique and spectacular are the landscapes. 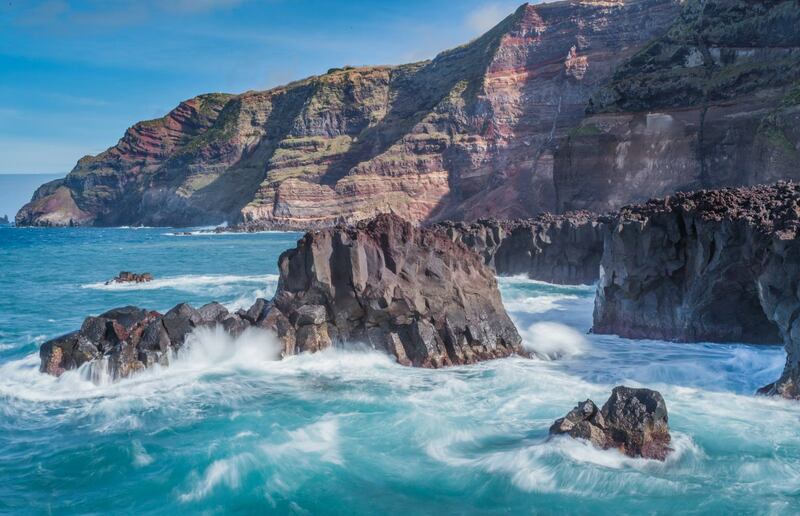 From the luscious green valleys, the volcanic craters and the strata volcanoes, the islands are comprised of breath-taking scenery, and for anyone who enjoys hiking through nature, kayaking through rugged rivers, or just standing on top of craters, the Azores are definitely worth visiting. That being said there are definitely some better and worse times you could decide to go to the Azores depending on your interests, and which islands are most appealing to you. Dress code is more or less the same anyway here. Practical, and relaxed. A tuxedo won’t do even in the fanciest club on these islands. Generally, unless you are going to be staying in your hotel all day, hiking boots would be ideal along with loose clothes and of course the essential. Rain jacket. Whether its July or December, there’s no way you can know when the weather will turn. So be prepared! It’s also worth remembering that the Eastern Islands generally get the least amount of precipitation. If the northwestern archipelagos are your destination, then save some room for extra waterproof gear. The best time to go and see Sao Miguel is any time during the summer months. July, August, and September are usually the hottest months averaging 21-22C. However, if your interests lie solely in the Whale watching and you want to see the biggest migration of whales, then April or May is probably the best time to travel. For those who want to see sharks in Santa Maria, its usually between July and August that they come and visit the archipelago! For those who want to rock climb or hike it may be worth coming slightly earlier in May or June where temperatures are 19-21C. Although the islands are remote, some parts do get busy in July and August as tourists come. If you want to avoid the crowds, September is a good time to visit and still feel the warm temperatures which average around 21C. For those who want to dive in Flores, the best time to do so is during the summer months, as the water temperatures reach 22-24C. Also, the seas tend to be calmer during then, which allows for better underwater visibility, along with easier kayaking and canoeing.